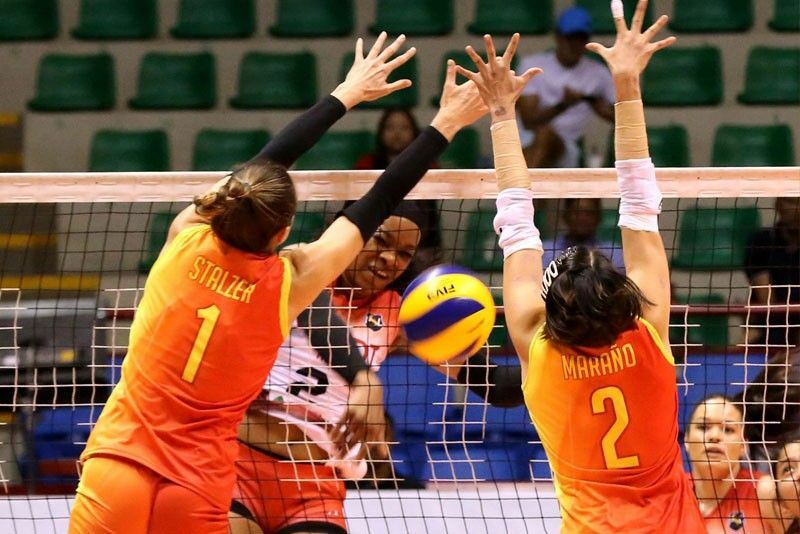 MANILA, Philippines — PLDT Home Fibr carved out the biggest upset of the Philippine Superliga Grand Prix so far, taking down second-running F2 Logistics in four sets, 25-20, 23-25, 25-21, yesterday at Alonte Sports Arena in Biñan. Putting up a five-star performance, the Power Hitters jumped the gun on the coach Ramil de Jesus-less Cargo Movers in each set to lay the foundation for the massive reversal that extended their streak to three games and for a 6-4 card overall and solo third. The Cargo Movers, who were handled by assistant Noel Orcollo while De Jesus called the shots for La Salle in the UAAP over in Manila, slipped to 7-2. “Nagtiwala kami sa isa’t isa, na kaya namang talunin ang F2,” said playmaker Jasmine Nabor, who tossed 25 excellent sets and added five points in the game where the Power Hitters enjoyed leads of 16-10 in the first, 8-3 in the second, a whopping 9-0 in the third and 18-9 in the fourth. With Nabor’s excellent setting, Kendra Dahlke punched in 19 points, to go with 10 excellent receptions, while Grace Lazard added 18 markers as Aiko Urdas (11) and Joyce Sta. Rita (10) also found their range for PLDT. Lindsay Stalzer (21), Ara Galang (11) and Becky Perry (10) led the way for F2, which struggled without De Jesus and injured players Kim Fajardo, Cha Cruz Behag, and Kianna Dy.